Over the past five decades, one thing has never changed: Midland Steel Company keeps growing! 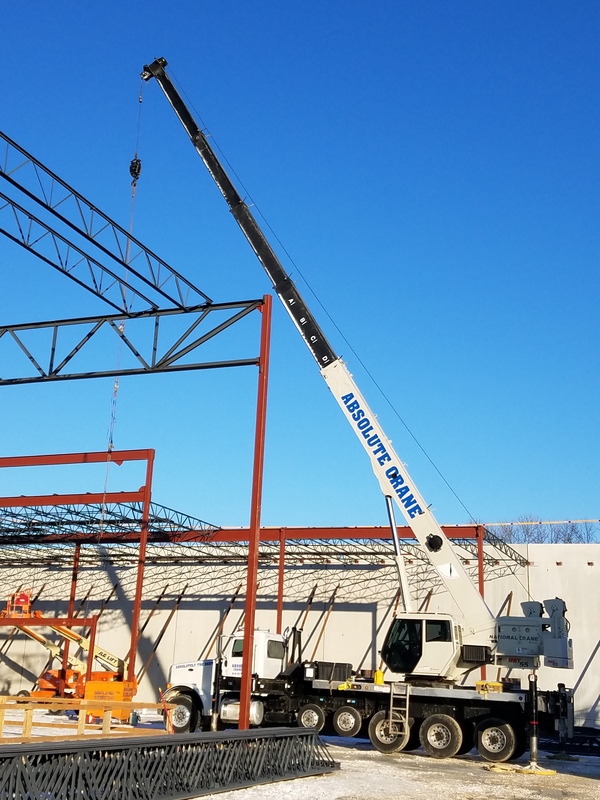 A new addition is being built at Midland Steel Company, a 50 by 90-foot structure that will house the handrail and lightweight architecture components. Built by Midland Steel Erection, the project is just the latest expansion by Midland Steel Company. The new Hotel Indigo in the Brookfield Building will reopen December 15, revitalizing a building that has been vacant for a decade. The design of the building brings echoes of its past, with its décor highlighting a transportation theme in honor of the Santa Fe Railroad ticketing and administrative offices that were once housed in the building. This is the latest Hotel Indigo, which are unique hotels that are designed to showcase the area of their location.